*Island Dog Spa is the only outlet in Newfoundland & Labrador to offer Micro-Bubble Technology for your pet. The benefits of Micro Bubble Technology. 1. Proven to clear up difficult skin conditions. 2. Deep cleaning for healthy fur. 3. Reduces stress and anxiety. 4. Relieves old and rheumatic aches and pains. How does Micro Bubble Technology clean deep inside a pore? The size of a pore is 30u m and the size of a microbubble is 20u m. The microbubbles are just water and air. Oil and water repel so the microbubbles alone will not remove the sebum crust on its own. 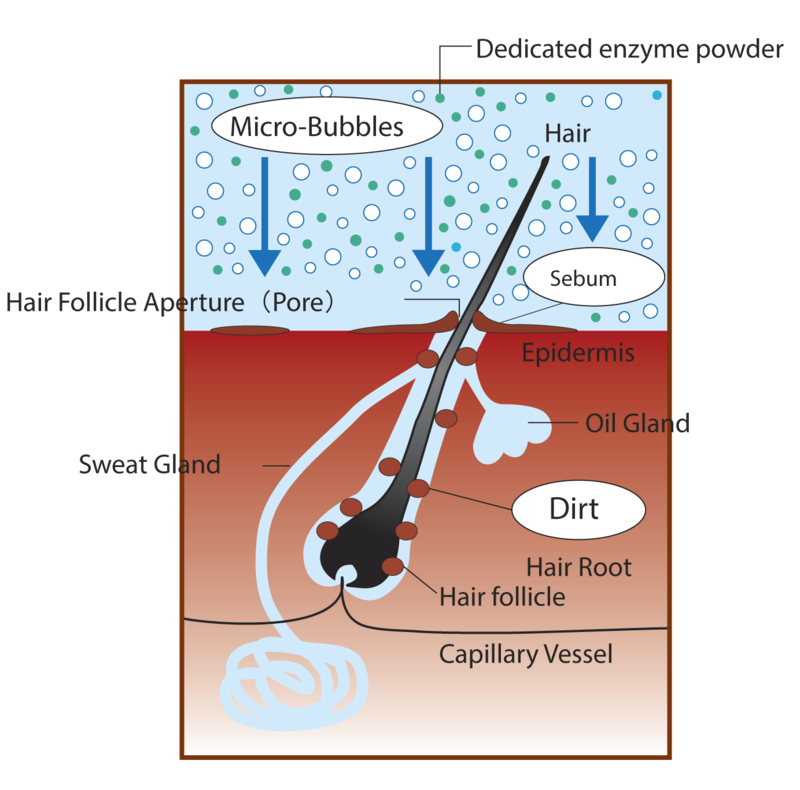 The Toji enzyme powder will eat away at the sebum crust breaking it down and making it softer, in turn, the broken-down sebum will be removed by the microbubbles. 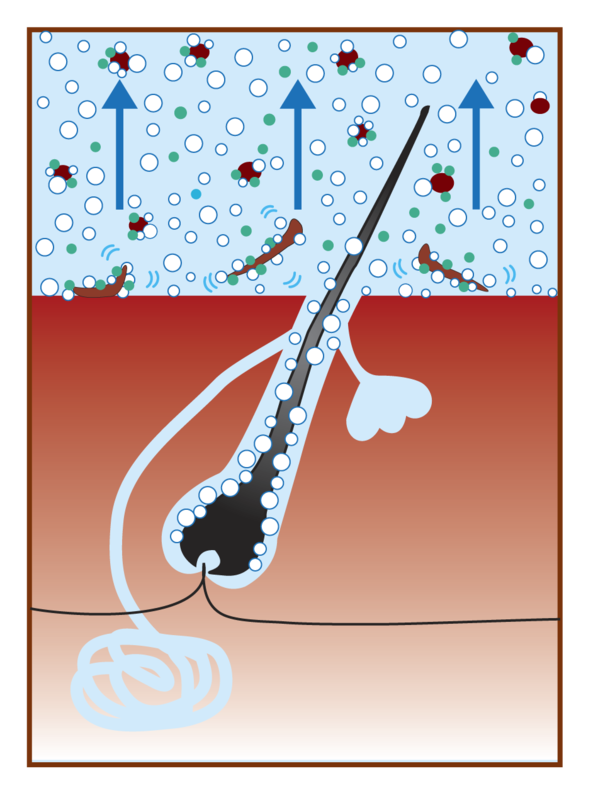 After the sebum is removed, the microbubbles then travel deep into the pore allowing the microbubbles to clean out the pore completely.